Use a keyboard mouse and monitor (video - KVM) remotely upto 150m away from the computer system unit and locally too. 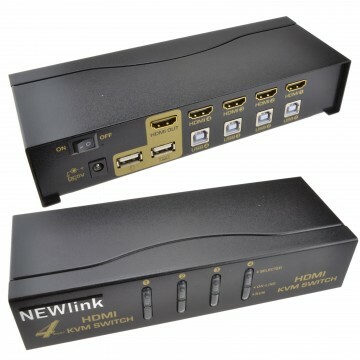 So you can use the same computer from 2 locations (switch over by hotkey or button press) The KVM Extender consists of a computer unit and a station (remote) unit that is suitable to locate a keyboard/mouse/monitor set up to 150 metres away from a computer or KVM switch using inexpensive Category 5 (5e or 6) UTP cable. 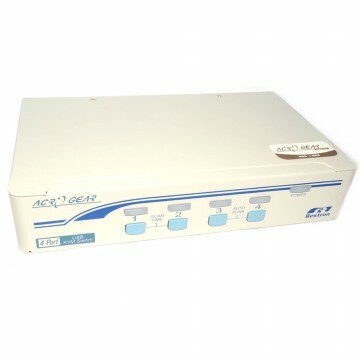 It provides an ideal and convenient way to remotely access the computer which is in a secure clean or dirty harsh environment. 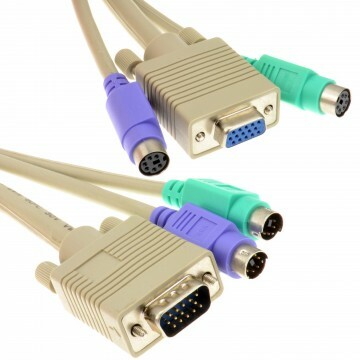 The KVM extender is designed to enable one computer to be controlled by one or two users. They are perfect for use in a factory or construction areas where you want to secure your computers and valuable data or manage them either in remote or both in remote and local sites. No software dip switches are required. Just plug and play. With one push button two LED indicators and simple Hotkey commands you can manage this device easily. Contents of box EK-11S (Station unit) x 1 EKP-21P (computer unit) x 1 PSU (UK) x 1 (9V 600Ma) User Manual x 1 KVM Cable (for PS/2) x 1 Dimensions 156 x 65 x 20mm No Cat 5 (5e or 6) cables are provided.